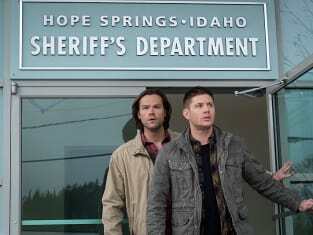 Sam and Dean work with the sheriff to protect a small town on Supernatural. "Don't Call Me Shurley" is the 20th episode of the show's 11th season. 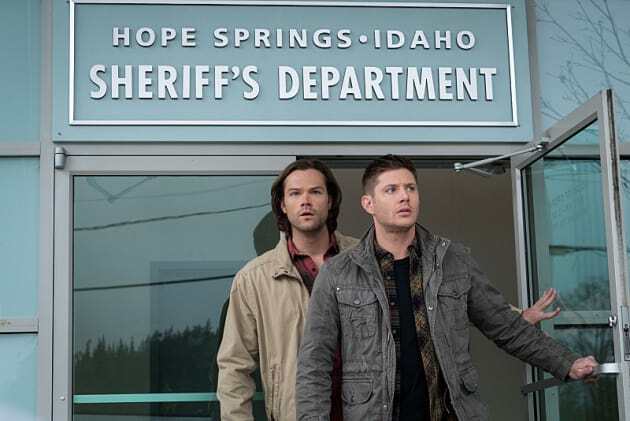 Supernatural Season 11 Episode 20: "Don't Call Me Shurley"
Last time I saw that look on an editor’s face, I’d just handed in "Bugs." Permalink: Last time I saw that look on an editor’s face, I’d just handed in "Bugs." You're wrong about humanity. They are your greatest creation because they're better than you are. Sure, they're weak, and they cheat and steal and destroy and disappoint, but they also give and create, and they sing and dance and love. Above all, they never give up. Supernatural Round Table: God Has Arrived!